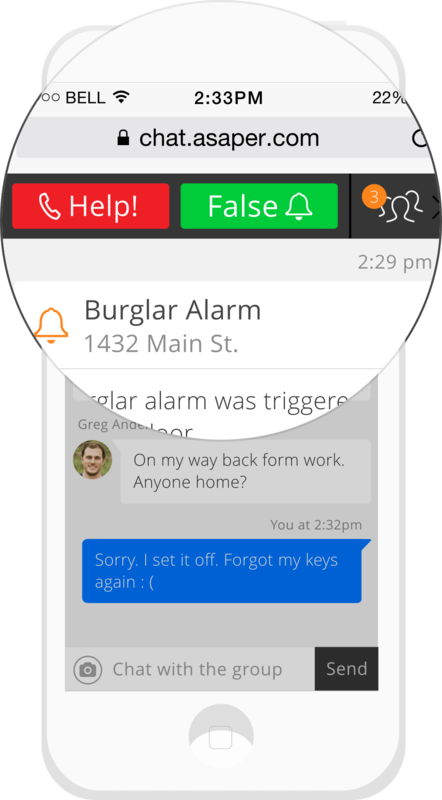 Resolve alarms faster than ever with ASAPer, an interactive messaging hub for home and corporate security systems. A test alarm has been triggered just for you. You will get an SMS alert within 1-2 minutes. When an alarm occurs, ASAPer provides a chat room for call list members to resolve the issue. No phone tag. No hassle. Alarm customers can receive alarm alerts and participate in the chatroom from any phone or computer. When an alarm occurs, ASAPer's patented alert technology ensures that everyone on the call list is rapidly notified.